For a great listening experience look no further than the DH90s. 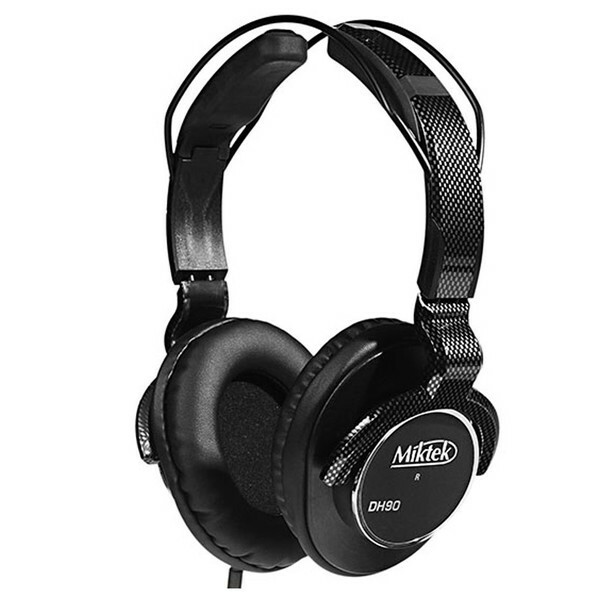 The Miktek DH90 Closed Back Studio Headphones are a perfect all-round headphone. If you're after high quality, tough and lightweight headphones then the DH90s will fill all these needs. 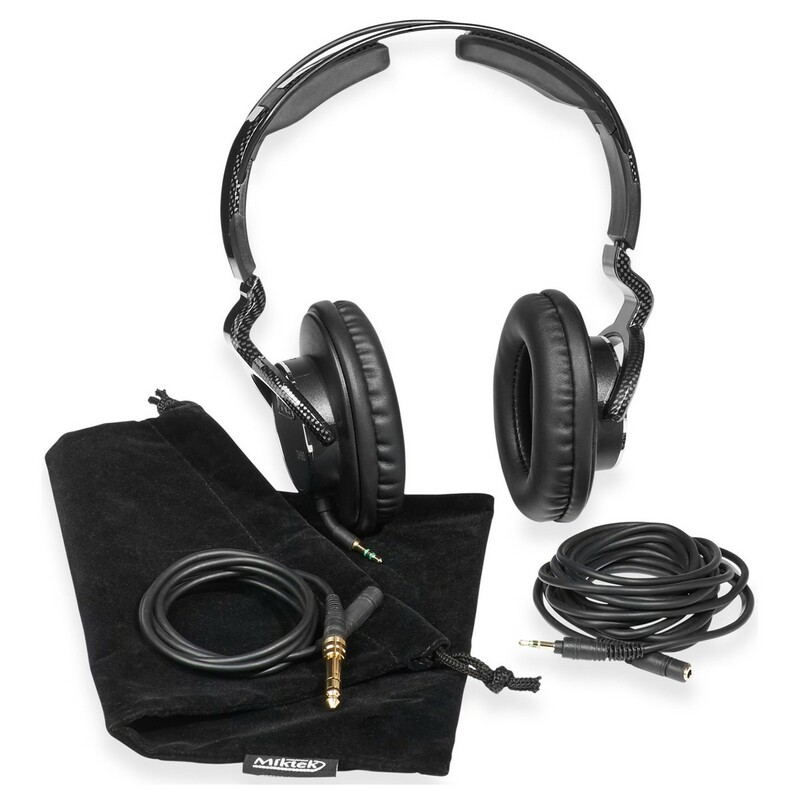 The audio quality is extremely accurate and the lightweight build adds to a comfortable listening experience. 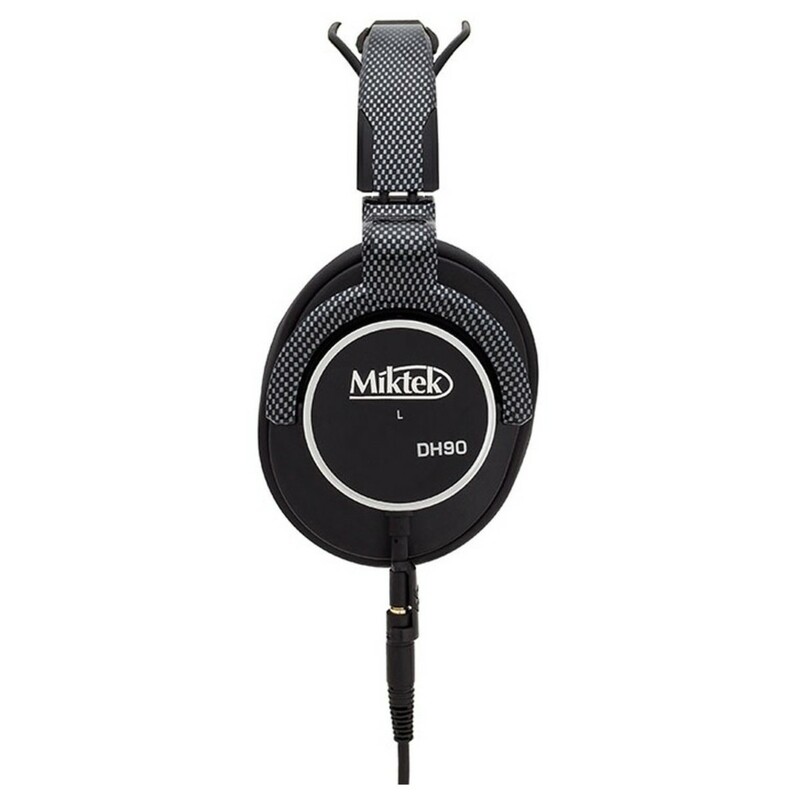 Whether you're in the studio, DJing or just walking about town, the Miktek DH90 Closed Back Studio Headphones are an excellent choice. If you're in the studio monitoring an important mix then you can rely on the Miktek DH90 headphones to provide you with very crisp and clear audio. The accurate and transparent audio quality is uncoloured so you know you're getting the flattest and best quality possible. This means your mix will come across the way you want regardless of device it's played on. Headphones are extremely important for your studio, so make sure you get ones that won't let you down when time is short - and the mix has to be pinpoint perfection. With a warm low end, bright, vibrant highs and all the good stuff in between, the frequency response of the Miktek DH90 Closed Back Studio Headphones gives you remarkable sound. Special attention has been given to the porting in order to provide and accurate stereo image, it's great for mixing music or film. The DH90s give you a lot of sonic depth. When you're enjoying music on your commute or if you're just listening at home, with the DH90 headphones you get superb quality audio at no cost to the comfort. The DH90s are lightweight and built to last with a very tough driver housing and comfortable adjustable headband. The finish on the DH90 is a great looking carbon fiber pattern which gives the headphones a modern look. The headphones are so light and so comfortable that it may feel like you're wearing no headphones at all. It's quality build means the DH90s are ready for listening every hour, every day.